Minimise WAN expenses by including smaller regional providers in the tender process, as most of these have mature services on par with leading global providers. Minimise use of poor local internet services for cloud connectivity by using network service providers' cloud connectivity services where possible. Ensure the performance of NFV services by selecting providers with NFV nodes that are less than 30 ms latency away from their branch offices. 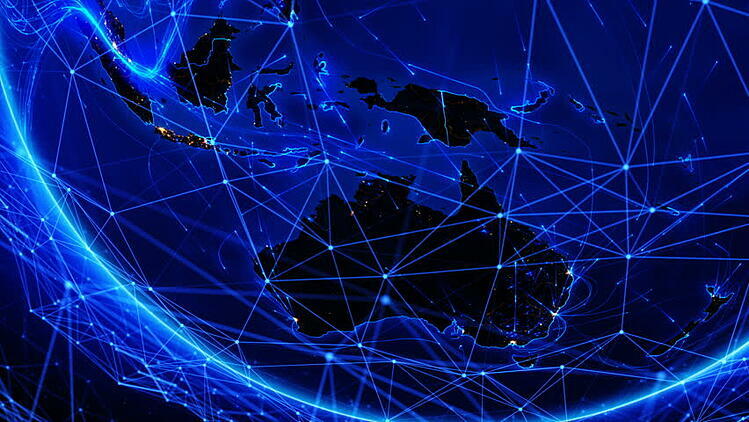 Telstra's MPLS network provides direct connectivity to all major markets via 36 nodes in 18 markets and extensive NNI arrangements. It also provides direct connectivity within China through a joint venture company, Pacific Business Solutions (PBS), covering 36 cities in China. It provides extended domestic reach and managed services in Indonesia through telkomtelstra, its joint venture with PT Telkom in Indonesia. Telstra has completed the integration of the Telstra and Pacnet IP networks, and is in the final stages of migrating existing clients to the new network. 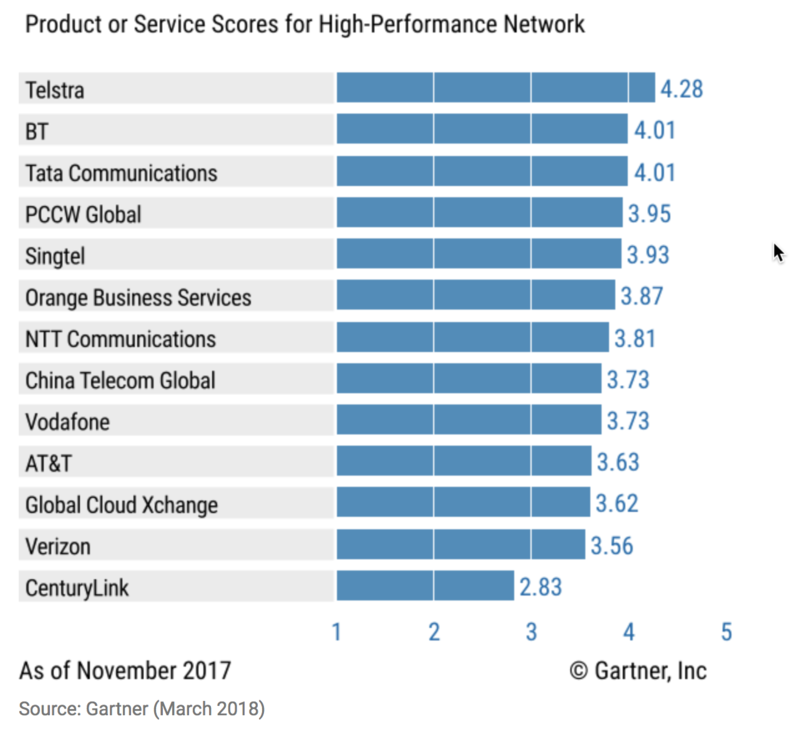 Telstra provides a choice of Ethernet over MPLS and Ethernet over Layer 1 in all major markets via 138 nodes in 14 markets. It has a high-capacity, low-latency service, called EPL Express, and provides a wide choice of routes and guaranteed latency on each path. It provides direct cloud connections with dynamically allocated bandwidth to major public cloud providers, including AWS, Microsoft Azure and Office 365, IBM SoftLayer, and VMware vCloud Air. Its cloud gateways are located in Sydney, Tokyo, Hong Kong and Singapore. Telstra also operates 11 internet gateways in the region. Telstra has also introduced SD-WAN service based on Cisco IWAN and VeloCloud across the region and in China via PBS. It offers network-based NFV services from Sydney, Hong Kong, Singapore and Tokyo, with firewalls, routers, WAN optimisation and SD-WAN. It has vCPE services region-wide with a similar set of virtual functionality. Telstra is suitable for most enterprise WAN needs. However, it has less experience in large and complex networks than some other providers. Enterprises with extensive requirements in China will find its domestic capabilities particularly important. It has very good submarine cable infrastructure in the region, which makes Telstra suitable for high-capacity and low-latency services. VoicePlus, a Telstra Enterprise Partner, has also been recognised by Gartner for its Atrium Managed Mobility Service. Atrium is a SaaS product which manages endpoints and delivers digital transformation of corporate mobile fleets. It reduces costs through accountable procurement, lifecycle management, cost optimisation and telecom expense management. VoicePlus also offers Telstra Essentials, at no cost to Telstra customers.